The University Police Department is continuing to update campus security with the addition of 25 new security cameras over the course of the summer and start of the fall semester. New additions include cameras in the stairwells of North Complex and in parking lot 13 behind the Richardson/Olson residence hall. Along with those additions, cameras in the Al Neuharth Media Center were updated to be higher-definition. As the construction in North Complex is completed, additional cameras will be placed in the new space. With the new additions, there are approximately 465 cameras located throughout campus. 95 of these cameras are exterior, and 370 cameras are interior. Lieutenant Jef Rice said new security camera locations are routinely added as more funding becomes available, and the additions and updates are routine practices that UPD performs to be proactive with security and safety. Rice said the cameras are constantly being monitored but are also referred to after a situation occurs. Jacob Holmberg, a sophomore studying criminal justice, said he doesn’t have a problem with the increased security. Rice said the cameras are primarily used for non-criminal activity. Rhiannon Kusler, a sophomore studying medical biology, said she completely agrees with UPD’s decision to add more cameras around campus. Rice said security cameras are only located in public, common areas. 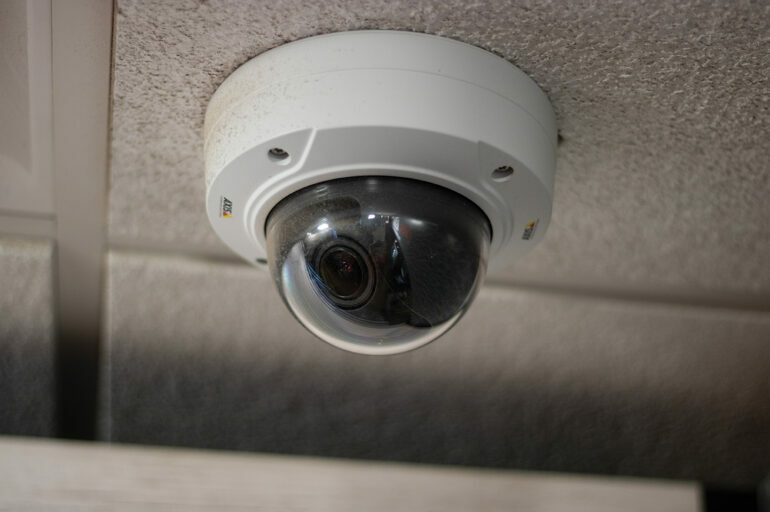 Kusler said she believes that security cameras are a necessity for public areas.